Small Budget & an old garage - What is possible? 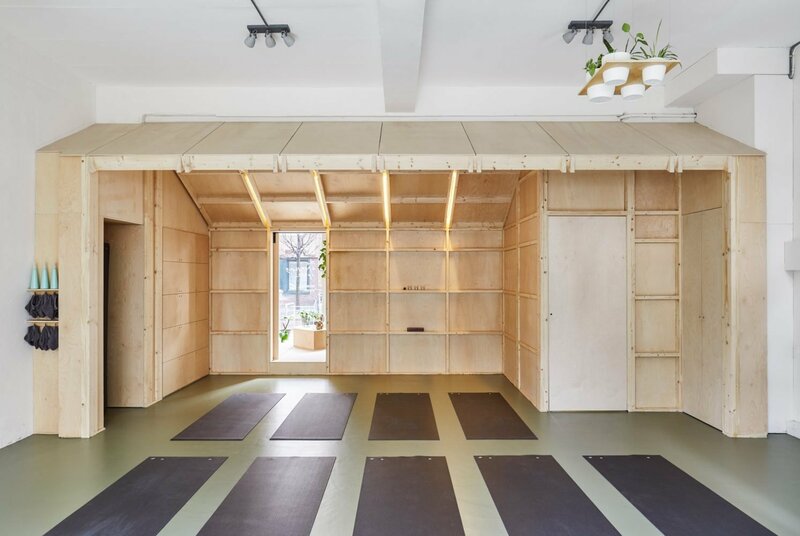 With a low budget and an old garage to convert we started by exploring what was possible with our clients - experience is key and we quickly created a priority list for all the small and large features that make practicing yoga better. We created a studio that adopts a house in a house approach. 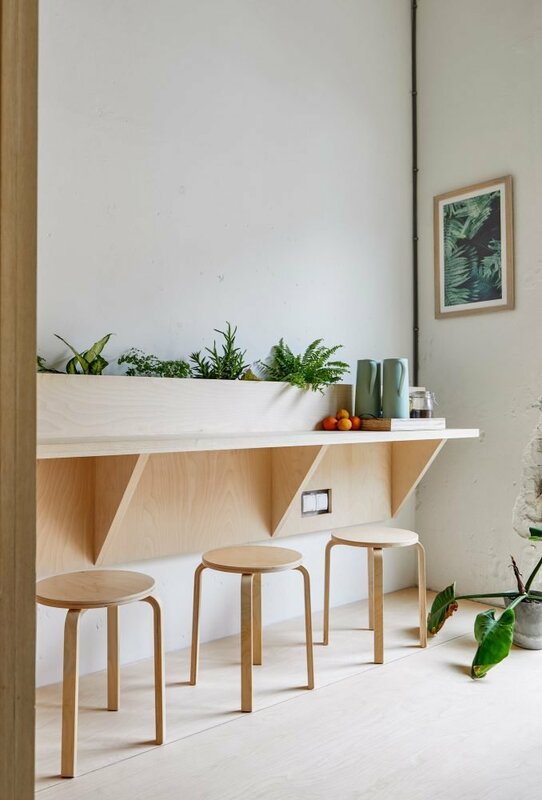 The entry is the front garden, a place to catch your breath, store your gear, and catch up over a fresh mint tea which you can cut yourself from plants growing along the back wall. 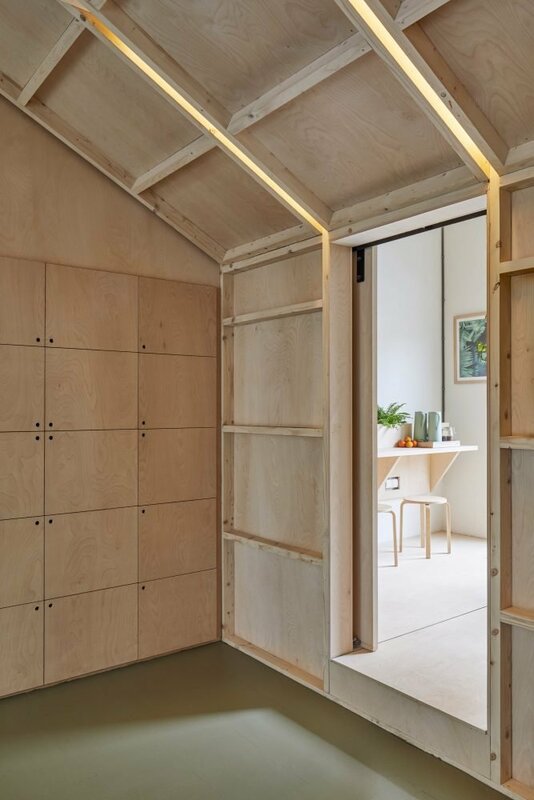 Stepping down into the small house you cross the threshold to the studio - a focused calm space centered on a small garden. The floor throughout is heated with painted cork in the studio & tiles in the bathrooms. Aside from the cork the only other materials are regular framing timber and birch plywood. 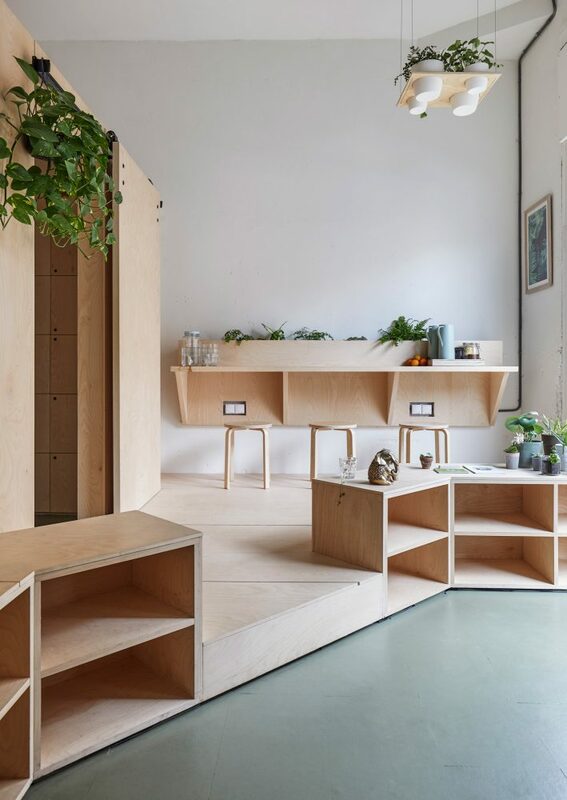 love that the space is a welcoming haven, sheltered from the bustle of city life.